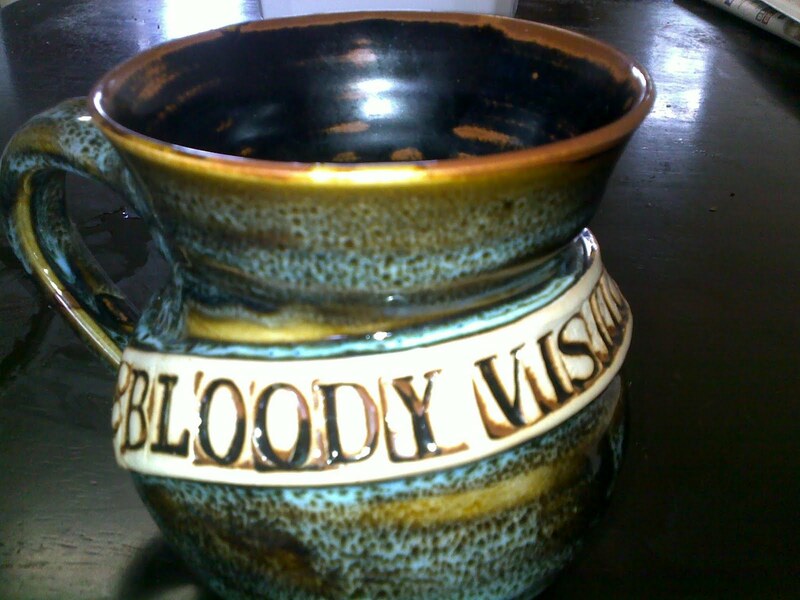 This is a hand made pottery mug and on the side it says ‘bloody visitor’. Originally I brought a larger mug like this at the Eumunndi Markets and promptly shipping it to a friend in the USA. Jacinta has a collection of oversize mugs that she loves to get out when having guests over. This year I commissioned a potter from the Toowoomba PCYC Markets to make me a few mugs with the ‘bloody visitor’ logo on the side. He has since told me that it is one of the most requested mugs he now sells. I guess I’m not the only person who has a quirky sense of humor. This mug lives at my father-in-laws unit and I use whenever I visit.